I’m sure you’ve already heard enough advice about generating leads. 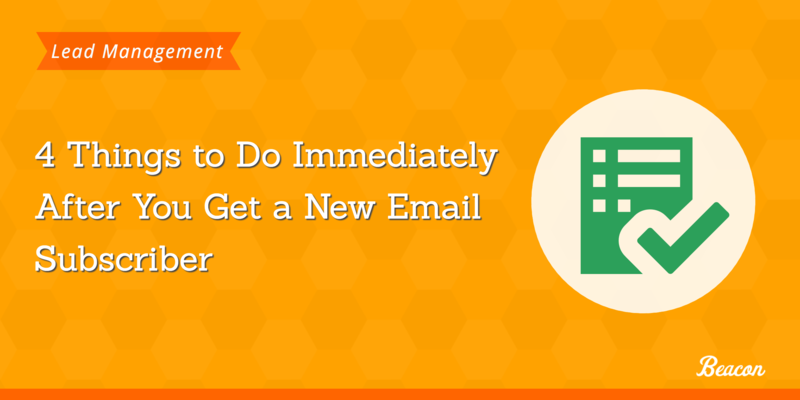 But do you know what to do with every new email subscriber? Do you have a plan to onboard them, find out if you two are a match, and reduce the new subscriber anxiety? If not, you will after you finish reading this post. In this article, I’ll show you 4 things you need to do immediately after you get a new email subscriber (and I’ll also teach you a couple of tricks how to make the most of them). Intrigued? Let’s do it then. When someone signs up to your list, they indicate a desire to start building a new relationship with you. And it’s your initial response that makes or breaks the new relationship. For example, send them a sales message, and they’ll likely consider you pushy, and leave. But don’t reach out them at all, and your new leads might get an impression that there’s no business behind the list after all. What’s more, if you prolong the silence, they’ll likely forget about you, and as a result, unsubscribe from any email you’ll finally send because they won’t know who you are anymore. The solution? Send every new subscriber a welcome email. Ideally, set it to go right after they sign up. Allow you to deliver value right away. But don’t just take my word for it. 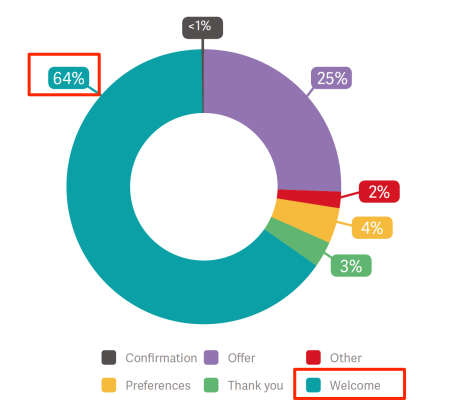 A recent study by Return Path discovered that subscribers read welcome emails 42% more often than any other communications with a brand. …but quickly realize that you only have a little space to cram it in. Personally, I recommend you leave some information out of the welcome email and schedule another message to go a couple of days later that covers those things. The purpose of the welcome email is, as the name suggests, to welcome someone to your newsletter and tell them more about what they should expect from your newsletter. 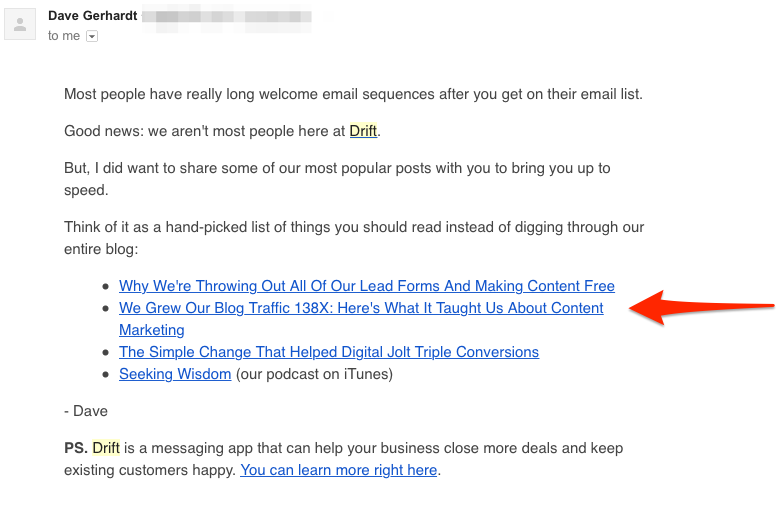 That second email should help them get the most out of your site. With welcoming and onboarding new subscribers out of the way, it’s time for you to assess if you two are even a match. 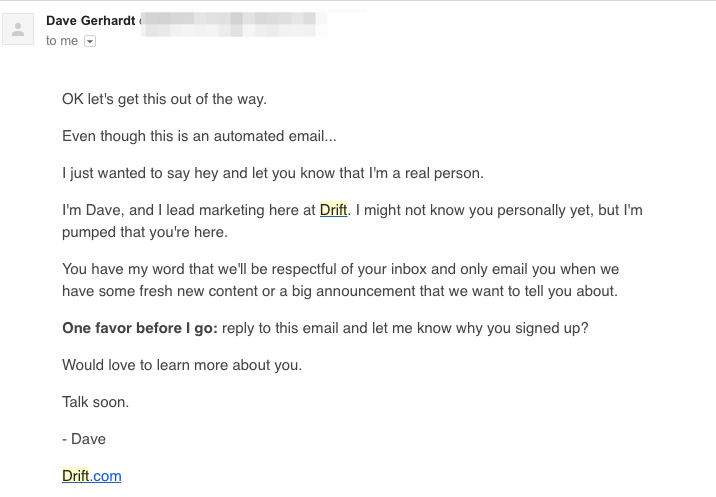 And I admit, this step is particularly important if you’ve only started growing an email list (but if possible, don’t neglect it, even if you’ve already been generating leads for a while). It’s hard to tell at first if you’re attracting the right leads to your business. In fact, for most business owners, as long as people are signing up, they’re happy. In reality, though, unless you verify the quality of your new subscribers, you might end up with an unhealthy list of people who would never become clients anyway. So how can you profile every new subscriber? I visit their website, providing they’ve signed up with a business email address. I then assess whether the company falls within my target audience (but even if they don’t, I don’t consider it a bad thing. However, naturally, I prefer businesses I can work with to sign up). 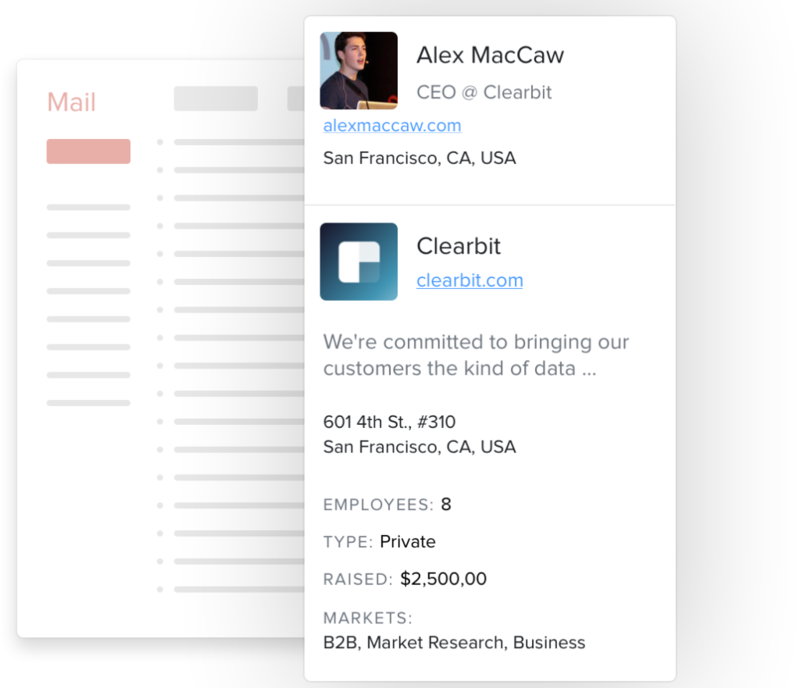 I also use Clearbit Connect to find out more about the person behind the email. This Chrome plugin displays information about a person based on their email address (you can learn more about it from my overview here). What should you look for when profiling new subscribers? First of all, find out if the person matches your ideal buyer persona (or at least comes close enough)? Is their company a part of your target audience or market? However, if you constantly get email subscribers who don’t meet your target audience criteria, it might suggest that you’re attracting the wrong traffic to the site. Although I haven’t tried it personally, many companies also use their Welcome Email as part of the profiling process by asking questions that would help them learn more about their new subscribers. I want to learn more about my subscribers to know their probability of becoming clients. And so, I often analyze their engagement on my site before subscribing. Apps like Mouseflow or Hotjar allow you to record your web visitors, and then watch how they’ve interacted with your site, what information they’ve reviewed, and how long they stayed. Naturally, I don’t recommend you watch every visit. It’d take too much of your time. Note: The Submit symbol only indicates that the person has filled in a form on my site. Naturally, it doesn’t tell me which form it was, but that’s OK.
How many pages a person has viewed? What pages they’ve visited, and where any of them my top converting ones? How long they’ve spent on the top converting pages and how much content they’ve read? What page did they decide to sign up (note: I have lead generation forms on many pages, plus I display exit popups). All this information helps me assess the quality of a lead, and in turn, their probability for future engagement. I’m sure you’ll agree, building a list seems like one heck of a task. But it’s only when you get the first email subscribers; you realize how challenging it is to start building a relationship with them. Hopefully, after reading this post, you know exactly what to do with every new subscriber.